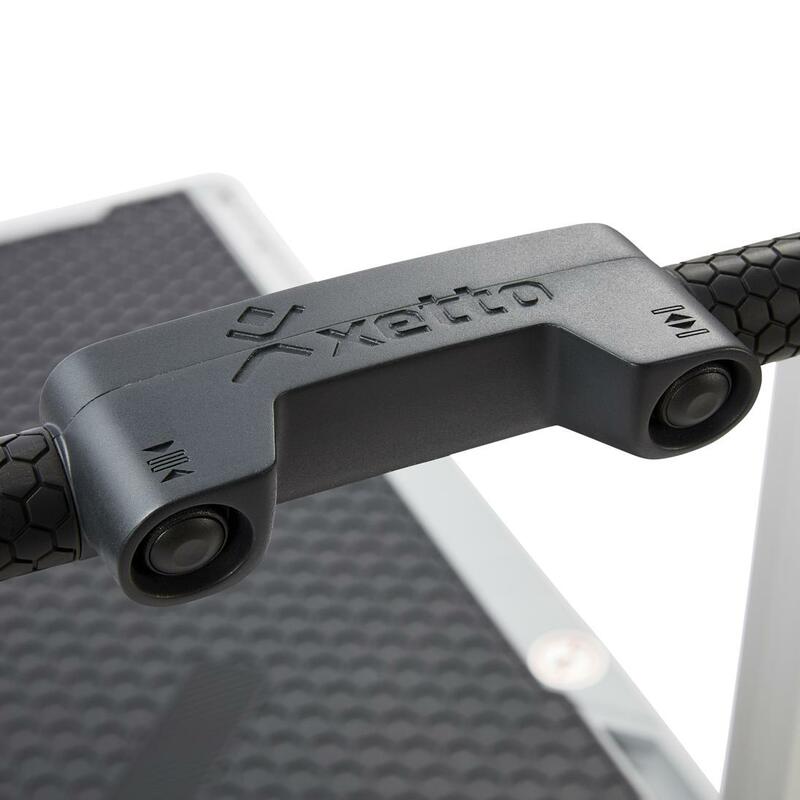 The xetto® is a true multipurpose system. It lifts, moves and loads cargo and goes everywhere you go. Its versatility and flexible applications appreciably simplify your work. 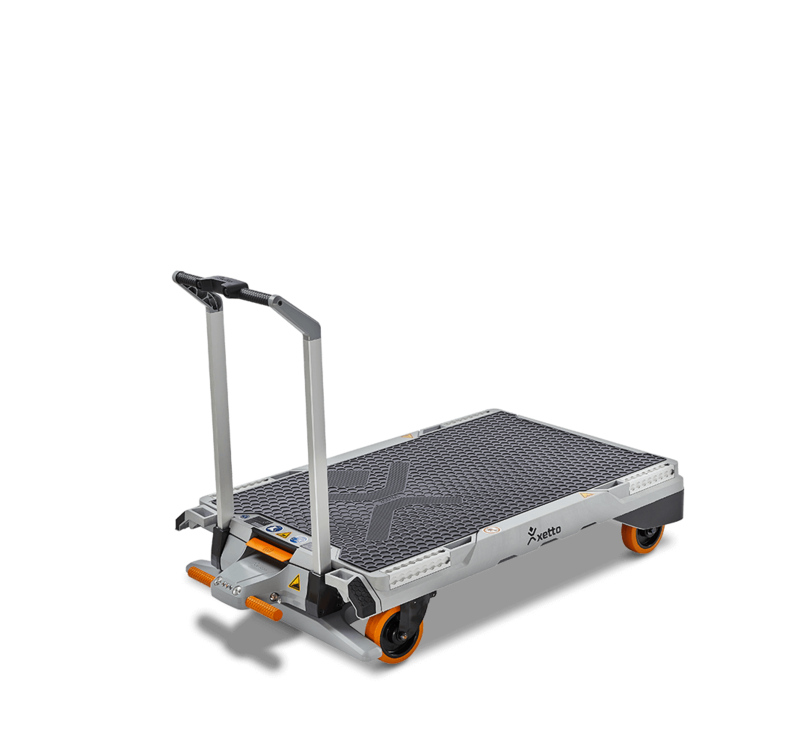 Where previously you needed multiple pieces of equipment for different applications to move, lift or load and unload heavy cargo, you now only need one: xetto®. 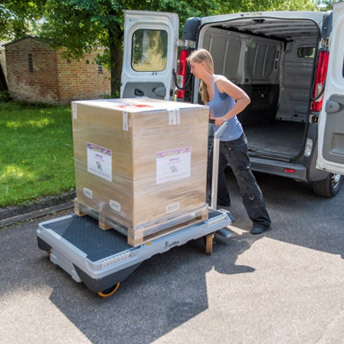 The innovative loading and transport system combines numerous functions in a single device, making it the perfect all-in-one solution. 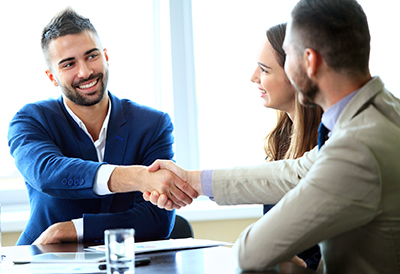 With xetto®, you can save the costs for purchasing additional equipment or vehicles. 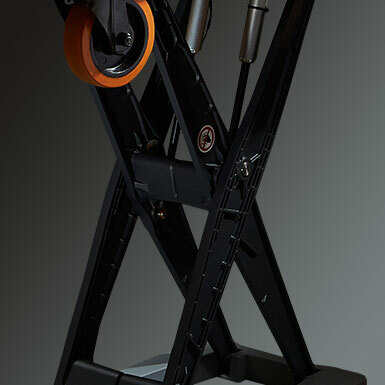 Moving loads up to 250 kg is easy with xetto®. 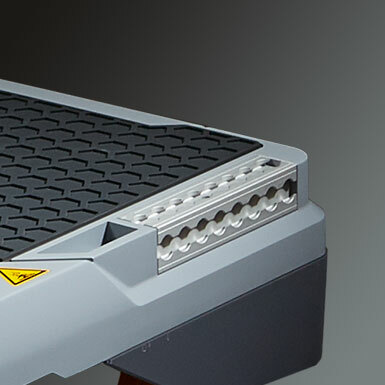 Thanks to 160 mm castors, curbs and other obstacles as high as 25 mm pose no difficulty. 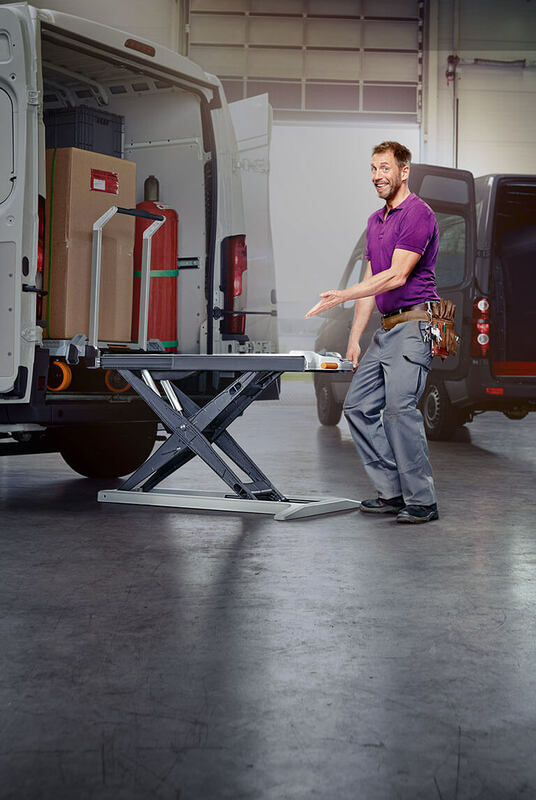 Even surfaces varying as much as 800 mm can be quickly negotiated with the lifting mechanism of xetto®, without requiring reloading of the cargo. Custom accessories quickly and reliably secure the cargo on xetto® or protect it against rain and dirt. 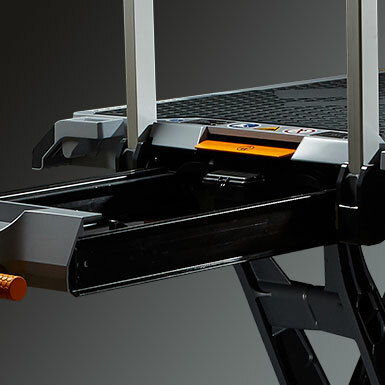 The xetto® allows you to conveniently load and unload heavy cargo into and out of your vehicle. 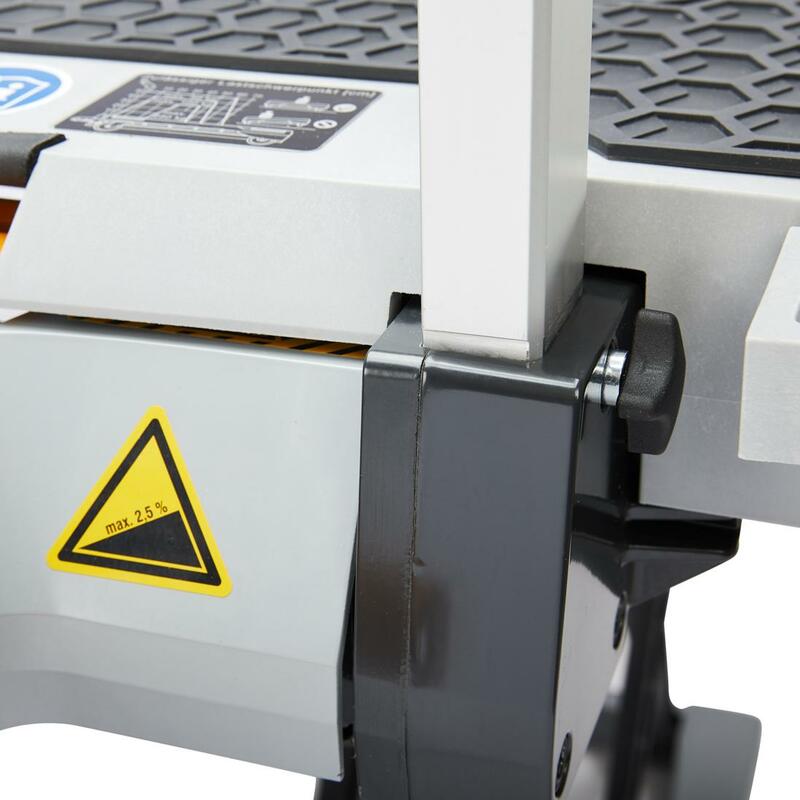 The loading process is absolutely safe, even up to the maximum sill height of 800 mm. 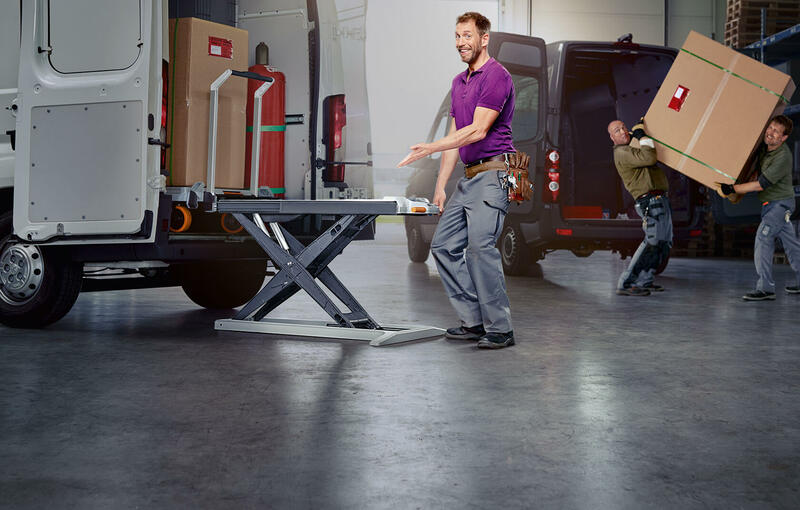 The xetto® loads itself into the vehicle, allowing you to conveniently unload the cargo again at your destination and transport it – without the need for manual reloading, assistance, or loading systems at the job site. 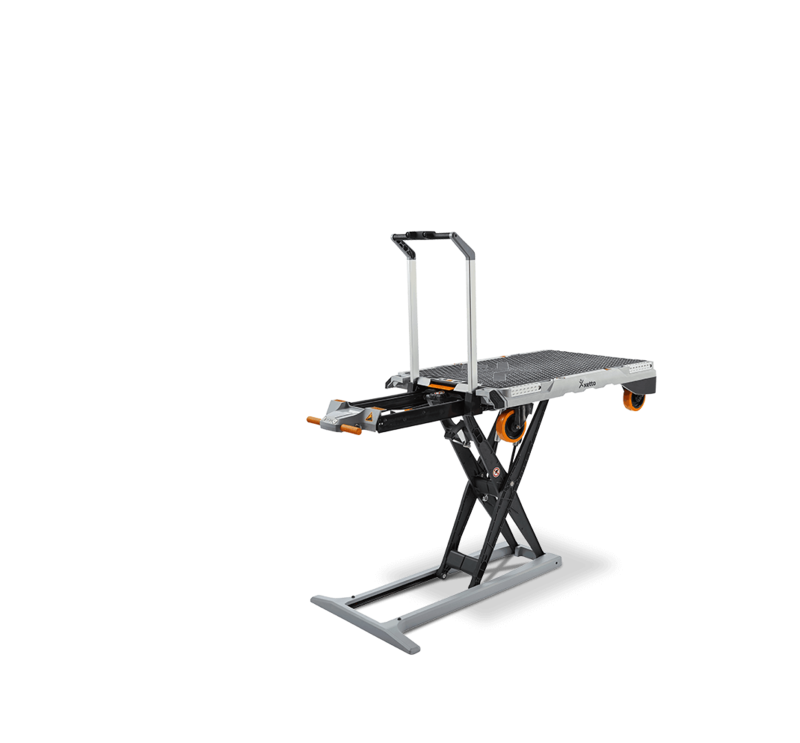 With xetto®, you are able to lift heavy equipment or materials quickly to a working height of over one meter, making it the ideal mobile assembly aid. 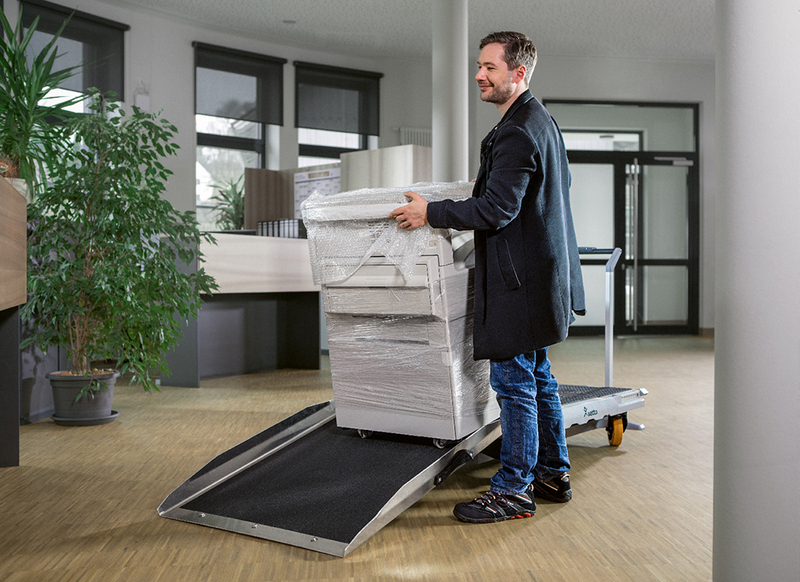 Since the height of xetto® is fully adjustable, every employee is able to work at the optimal height and avoid unnecessary physical strain. 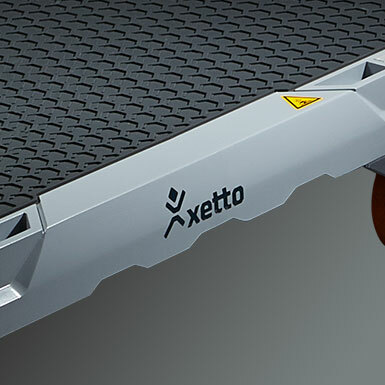 Even loading goods and materials from a height of over one meter onto xetto® is not a problem. 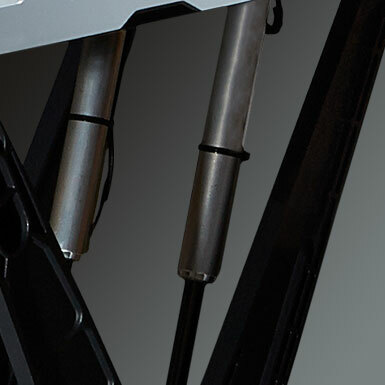 The stable and height-adjustable load area allows you to load and unload xetto® flush with the surface. 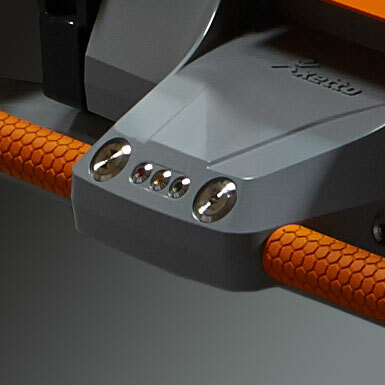 Brakes allow xetto® to be reliably secured to prevent it from rolling away. Screws for quick and tool-free removal of the entire lever. xetto® makes transporting copiers and other office utensils a cinch. 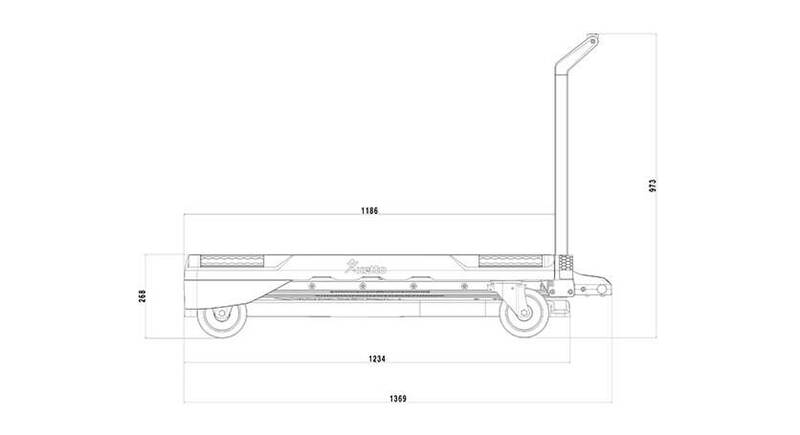 The load can be transported perfectly and loaded and unloaded using a loading ramp. The xetto® is also suitable for elevators, which greatly facilitates the transport of loads weighing up to 250 kg to higher floors. 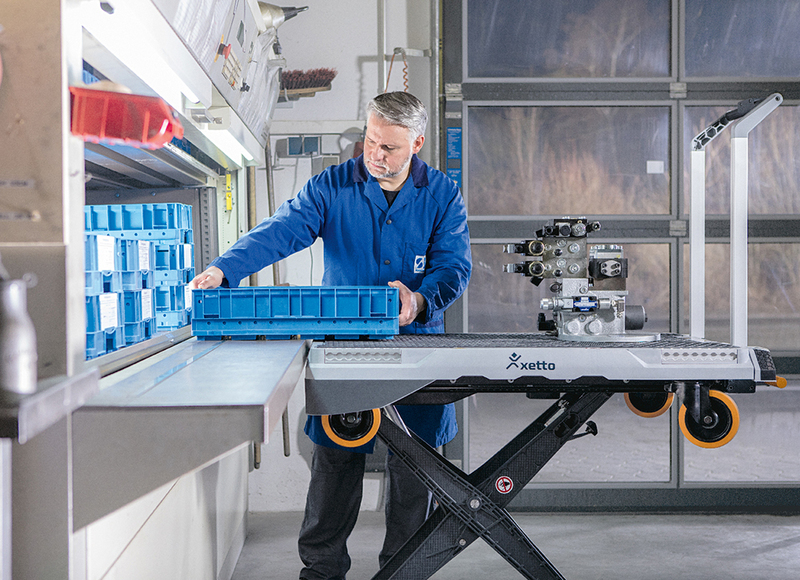 Especially in the workshop, xetto® is the perfect helper. 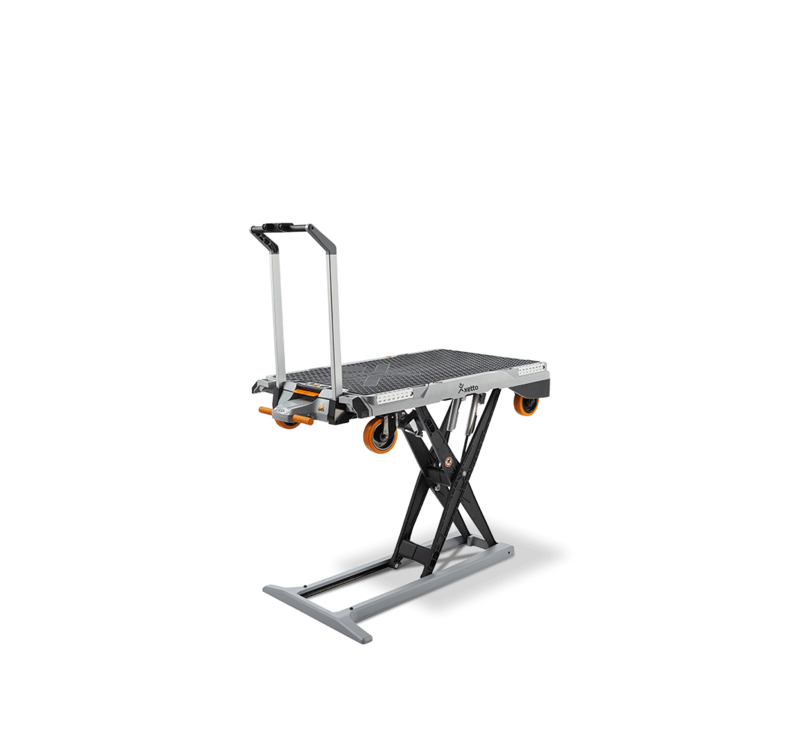 It not only supports the flush loading and unloading of tools, machines etc., but also serves as a mobile work table with its brakes and quickly removable lever. 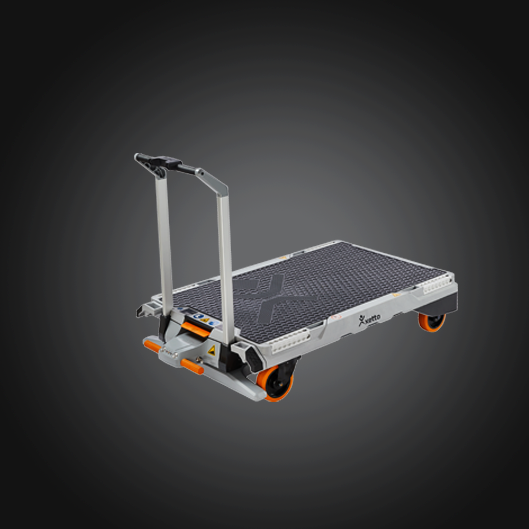 With xetto®, you can quickly and easily load and transport cargo up to 250 kg in your work vehicle. Our 3-tiered support concept provides rapid assistance in the event of a malfunction. 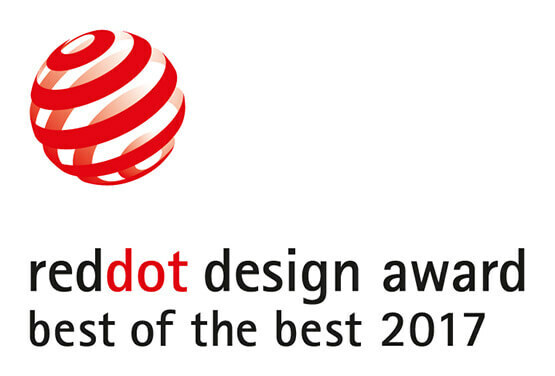 The xetto® loading and transport system received the international Red Dot Design Award and the Red Dot: Best of the Best distinction for its outstanding and ground-breaking design. Over 5,500 entries from 54 nations were received. In their decision, the approximately 40-member judging panel commended the innovative and ergonomically well-crafted concept, calling it an expression of an extremely user-oriented mindset. For more than 60 years, the renowned accolade has been bestowed on products that stand out with their extraordinary design and a perfect harmony of quality, function and utility. 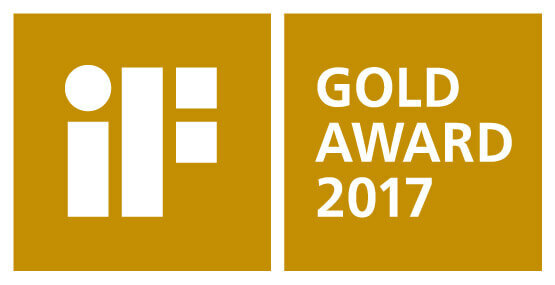 A mere 75 products from over 5,500 submissions earned the gold distinction at the international Industrie Forum Design Award 2017. The xetto® was one of the products to win this coveted accolade for its outstanding design. The judges' assessment reads: “This simple transport system for small and medium-sized firms revolutionizes the transport and loading process for cargo. 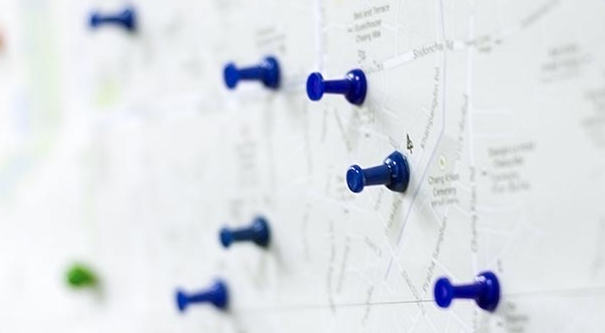 The design solves a number of complex problems using a simple approach ... a perfect combination of clear product management, marketing, and design." 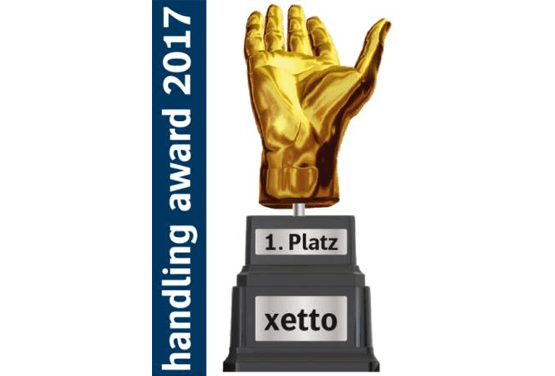 Its benefits for the user and its universal applications in industry, commerce and trade have earned xetto® the handling award 2017 in the "Storage, order picking, handling and transport" category. It is very exciting that xetto®, after two design awards, has now also been recognized with 1st place by logistics experts as an outstanding versatile product and system solution. 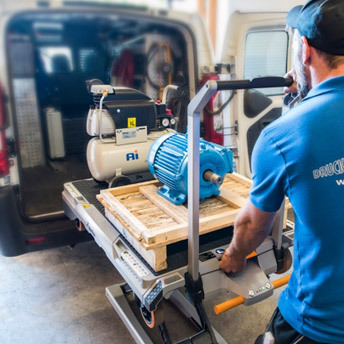 The transport and loading system prevailed over 68 other applications for combining the functions of multiple implements in single piece of equipment, making it one of the transport and loading solutions of the future. There are plenty of good reasons to lease a xetto®. Take advantage of our distributors' special leasing offers and benefit from attractive terms and conditions. To test or to buy a xetto®? 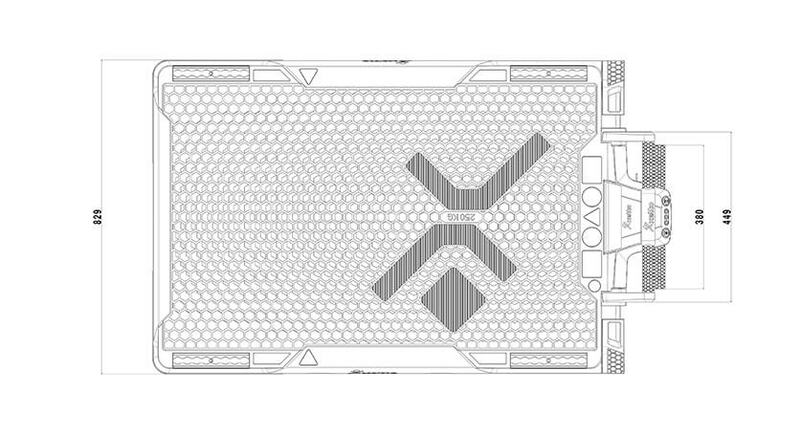 Would you like to test xetto® prior to purchase? Schedule an appointment for a trial with your xetto® dealer. 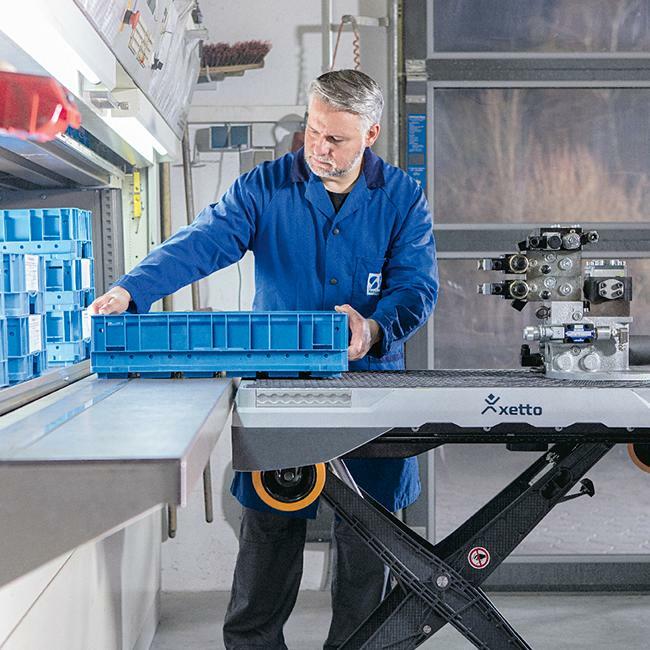 2019 xetto® - an innovation of HOERBIGER Automotive Komfortsysteme GmbH. All rights reserved.